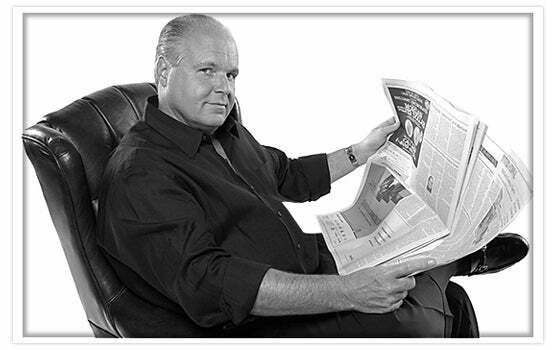 RUSH: So we start off with the Democrats and the media and the leadership of the intelligence apparatus and the FBI claiming that the duly elected president of the United States is a traitor, that he stole the election away from the person who shoulda won it, Hillary Rodham Clinton, by colluding with our enemy, the Russians. That’s the starting point, and then for 2-1/2 years that’s all we get. Hundreds of thousands of articles, 500,000 articles, hundreds of thousands of minutes and seconds for two years. 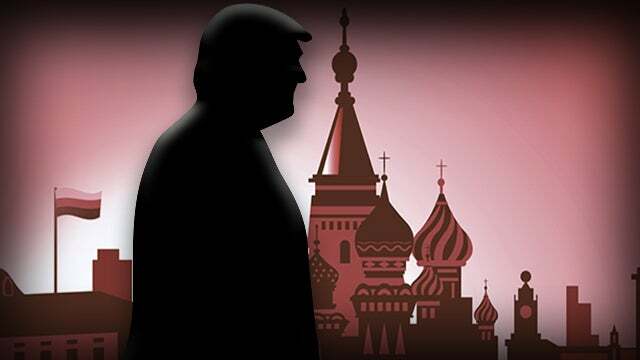 Then we get a report (summaraized): “Trump is not a traitor, Trump did not collude. There isn’t any evidence of it whatsoever. There isn’t any evidence of obstruction of justice.” Then we find out the report is 300 pages, and the people accusing Trump of being a traitor say, “See? He’s still a traitor! It’s in there. It’s in there. Barr is just not telling us. We demand to see the whole thing. We want to see the whole thing now.” Mueller is not correcting these people. He’s not saying, “You’re right! You’re right. Barr is suppressing it. I found evidence! I found evidence that Trump is treasonous.” Mueller’s not doing that. What are the odds that the 300-plus pages prove and prove and prove and prove and prove and prove and prove and prove over again ad infinitum that Trump is not a traitor? How in the world does a rational person think that the attorney general is purposefully suppressing this evidence and lying to the American people about it because somewhere in those 300 pages is evidence Trump is a traitor? RUSH: Here’s Jim in San Francisco. Great to have you, sir. Welcome. CALLER: Hey, Rush. Hey, I wanted to let you know about a little psyops I’m doing out here in San Francisco against the liberals. There is a liberal radio talk show that I’ve called in for years, and one of more fair-minded moderators, you know, would let me go on and make my points. But that individual ended up retiring, and all that’s left now are the far-left radio show hosts. When I call in now, I got quickly cut off. In fact, the more articulate you are, the faster the liberal talk show hosts will cut you off. So what I’ve been doing recently, is I’ve been calling in pretending to be a dispirited liberal. After the Mueller report was released, I called in. I called in every day, and I just go on and on. I go, “You know, I just can’t believe this. This is so terrible! What can I do. It turns out all my conservative friends were right. What do I say to ’em? Trump was right,” and the talk show hosts, in their effort to comfort me and not let me leave the fold and go over to the other side, they start revealing what their really true intentions are. RUSH: Oh, I know. I know. In the first hour of the program today, the New York Times is making a big deal under about the fact that report is 300 pages, and Barr’s summary is only four pages. And it’s simply not possible to summarize all of what’s in 300 pages in four pages. You can summarize a book in one page if you’re a good editor. If you want to summarize a book, you can do it in one page. Book reports? Everybody’s had to do ’em. But they’re focusing on this. It’s ridiculous. They’re assuming that Barr is suppressing evidence of collusion that’s actually in there. “Look at Barr’s summary! It’s is four pages, but that report’s 300 pages. There has to be something in there that Barr didn’t want anybody to see.” So they’re now demanding it. I have no doubt that they’re gonna try to find something that they can then blow up and call collusion and the media will be right in on it. I have no doubt they’re gonna try this. I hope they do. I don’t think these people yet realize the damage they’ve done to themselves. I think they are completely unaware. But they have done irreparable damage. They have let so many down on their own side. They have lied for two years to their own side!, and before that, they lied all throughout the 2016 campaign on how Hillary was a slam-dunk, landslide winner, and they backed it up with all of their phony polls. There’s gonna reach a point — don’t know when — when all of these leftist activists who invest totally in the Drive-By Media are going to begin to have doubts. It’s gonna take a while. I mean, the Democrat Party’s been lying to its constituency groups like the African-Americans for 50 years, and they’re still getting away with it. But I have no doubt that they’re gonna try this. That’s why they’re all demanding to see the full report. What’s crazy about this, let’s say… I mean, they’re literally accusing the attorney general of suppressing evidence of collusion because he’s “Trump’s hand-picked guy,” and he’s gonna do everything he can to protect Trump. “Hey, wait a minute! 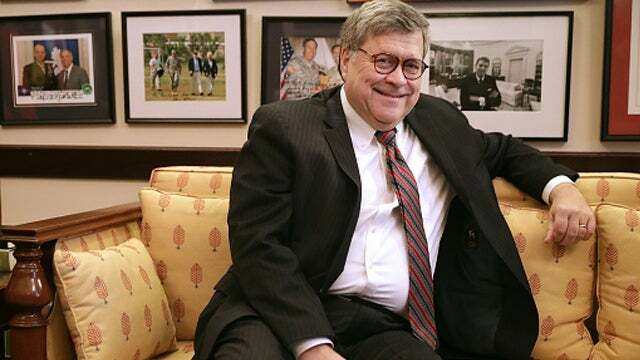 This guy, Barr, is lying. There’s all kinds of evidence of collusion in this report.” But that’s not happening.